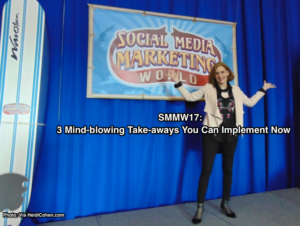 Wondering what you missed at Social Media Marketing World 2017 (aka: SMMW17)? Feel a pang of FOMO seeping into your consciousness? Social media isn’t going away any time soon not that any of my smart readers would believe that! Rather social media provides multi-directional communications specifically one-to-one, one-to-many and many-to-many. It’s how we connect and communicate with the people we care about. While Bryan Kramer calls this human-to-human interaction, I prefer the term “person-to-person”. It has an emotional, personal component that we learned to engage in as children. Although many social networks persist in referring to participants as users, we must accept that they aren’t numbers to collect but rather real people with lives beyond our social media and marketing needs. As social media evolves and extends its functionality, it’s integrated into other areas of our lives. But it’s more—Social media can’t be siloed in the marketing department any more. Integrate it across your business. Be prepared to provide quality content your audience needs at every step of the buyer journey. Social media is experiencing a transformation. In part, it’s attributable to the maturing of the major platforms. As a result, content marketing and customer experience (including customer service and sales) are evolving in ways that can enable you to be the best option for your customer. To succeed in this social media phase, provide an immersive experience to make your audience feel special. 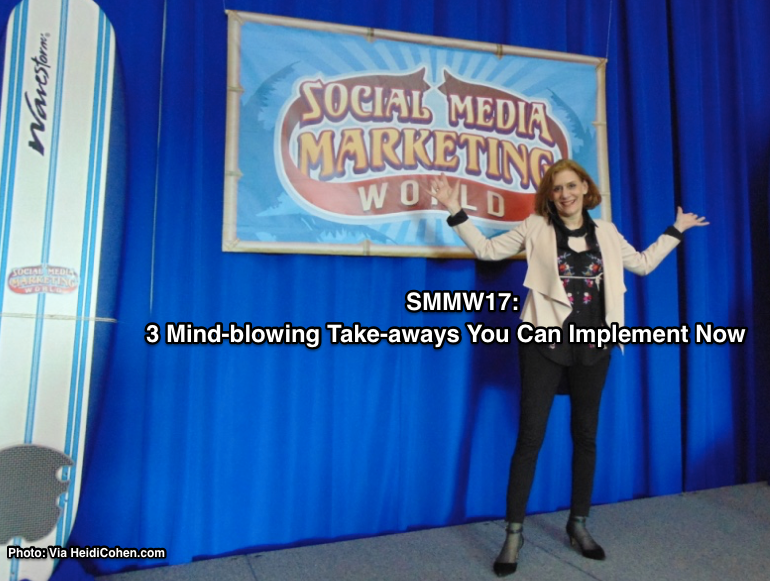 These 3 mind-blowing SMMW17 take-aways will help you to better integrate social media across your business. If you still think marketing when someone says social media, you’re behind the curve. Customer experience matters as an extension of your brand and your business. 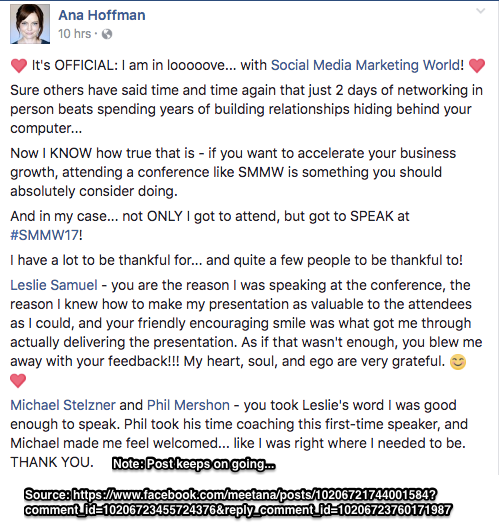 There was an entire SMMW17 track dedicated to the topic. Joey Coleman’s keynote, “The First 100 Days”, focused on not loosing your expensive, hard-won customer acquisitions to a poor post-purchase experience. Be available when and where your customers are. This doesn’t mean build a presence on every social media platform. Instead be selective and be where your audience and customers are. Establish a set of social media guidelines for your business. Define how your employees should participate on social media when representing your business and your brand. Train your employees across departments to ensure they understand how to use your social media accounts and tools. Social media runs on content. Consistently develop content your target audience actively seeks. Helpful. Be the best answer. Insightful. Freshness matters. Connect the dots for your readers so they gain useful new insights from your information that they can apply to their lives. Well crafted. When it comes to quality content, there’s no content shock. Your content must be well done. Consider your content format and length. Assess your strengths and your audience’s preferred consumption method. Include text, images, video, audio and live presentations. Determine your publication frequency to create content anticipation. This is critical in a post-appointment media environment to ensure your audience expects and wants your content. Regardless where of your content appears, owned or social media, engage from the first word or frame – according to Mari Smith. Design video so viewers understand your information without sound. Promote your content. Amplify and distribute your content on key social media platforms. Have a documented content distribution strategy. Since you may have different audiences on different platforms, plan your content reuse in advance. Bob Bly and Mari Smith made the point of addressing your audience by their first name. If you don’t know their name, use the second person (aka: you). This pulls readers into your content since they feel like you’re addressing them personally. Influencer marketing continues to be a strong element of social media led by Top Rank’s Lee Odden. 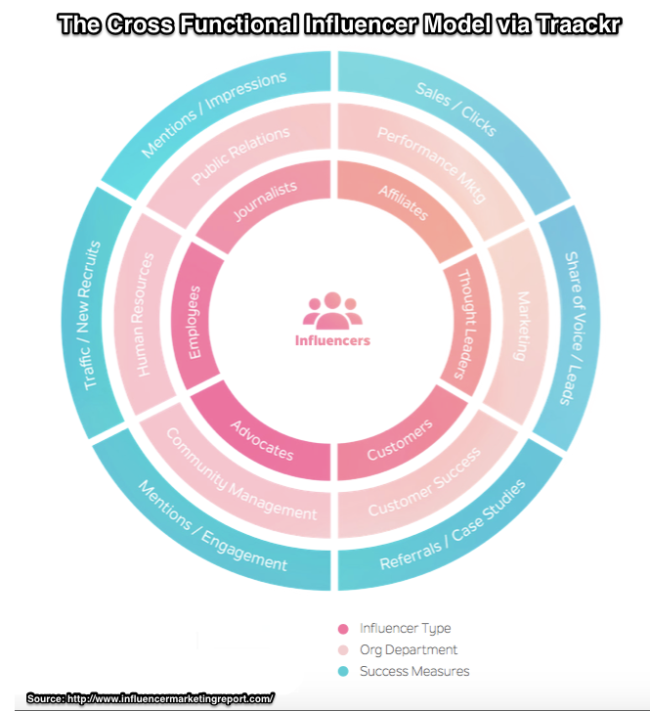 (Here’s a fuller analysis of influencer relations marketing.) But remember influencer marketing starts by paying-it-forward. In my opinion, think beyond the top experts in your field. Instead look at your micro-influencers who love your brand and your business. This pyramid approach is helpful. Be where your squad is. 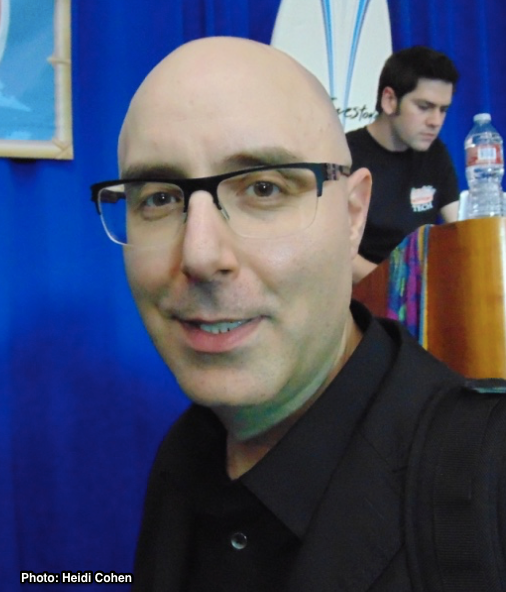 For example, Jeff Bullas, an Australian social media expert, was at SMMW17 as a regular attendee. Remember your business can’t survive on just influencers. You need to build relationships your audience. Build your email list from the first day. Don’t wait! Then deliver non-promotional content on a regular basis. Expand your audience with Facebook targeting. Jon Loomer recommends targeting warm prospects. Include frequent website visitors, registrants (offer related product), video viewers, promote blog posts (including older ones), and people who message your Facebook page. Social media is going through a transformation as platforms mature and evolve. Don’t be fooled into thinking that social media is just a communications and distribution channel that you should silo in your marketing department. Integrate social media across your various departments to improve your customer experience. Use social media as the first step for distributing content and starting to build customer relationships. Your social media audience is waiting for you. Tags Ana Hoffman, Andy Crestodina, Bob Bly, Bryan Kramer, Jeff Bullas, Joey Coleman, Jon Loomer, Lee Odden, mari smith, Mike Alton, Mike Stelzner, Mitch Joel, Peter Shankman. Bookmark the permalink. ← Blogging Grit: Do You Have Enough To Succeed? great takeaways, fantastic to see you, and thanks for the shoutout!